After weeks of speculations, the President of the Senate, Bukola Saraki, yesterday dumped the ruling party APC for opposition PDP. In his statement he stated, “This is not a decision that I have made lightly. If anything at all, I have tarried for so long and did all that was humanly possible, even in the face of great provocation, ridicule and flagrant persecution, to give opportunity for peace, reconciliation and harmonious existence. “However, it is after an extensive consultation with all the important stakeholders that we have come to this difficult but inevitable decision to pitch our political tent elsewhere; where we could enjoy greater sense of belonging and where the interests of the greatest number of our Nigeria would be best served,” he said. The Senate President said, “They have done everything to ensure that the basic rules of party administration, which should promote harmonious relations among the various elements within the party were blatantly disregarded. “All governance principles, which were required for a healthy functioning of the party and the government, were deliberately violated or undermined. And all entreaties for justice, equity and fairness as a basic precondition for peace and unity, not only within the party, but also the country at large, were simply ignored, or employed as additional pretext for further exclusion. “The experience of my people and associates in the past three years is that they have suffered alienation and have been treated as outsiders in their own party. Thus, many have become disaffected and disenchanted. According to him, the framers of Nigeria’s constitution envisaged a degree of benign tension among the three arms of government if the principle of checks and balances must continue to serve as the building block of our democracy. He said as Senate President and leader of the APC, he ensured that the necessary tension did not escalate at any time in such a way that it could encumber executive function or correspondingly undermine the independence of the legislature. Saraki noted that while Vice-President Yemi Osinbajo, the newly elected National Working Committee of the APC led by the National Chairman, Adams Oshiomhole, and state governors were working to reconcile aggrieved members, there were forces who worked against him and his followers in the party. He said, “The emergence of a new national party executive a few weeks ago held out some hopes, however slender. The new party chairman has swung into action and did his best alongside some of the governors of the APC and His Excellency, the Vice-President. I thank them for all their great efforts to save the day and achieve reconciliation. Even though I thought these efforts were coming late in the day, but seeing the genuine commitment of these gentlemen, I began to think that perhaps it was still possible to reconsider the situation. 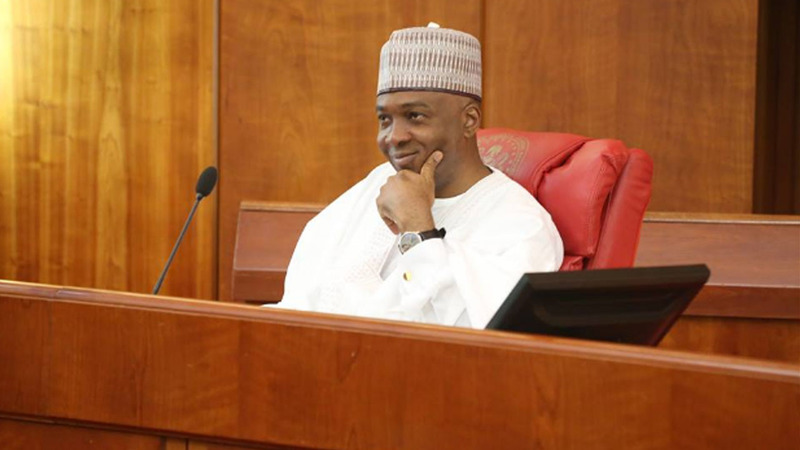 While Saraki said he had returned to the PDP – a party he left for the APC, he alleged that the injustice that forced him out of the then ruling party was now in the current one. “For me, I leave all that behind me. Today, I start as I return to the party where I began my political journey, the PDP. “When we left the PDP to join the then nascent coalition of APC in 2014, we left in a quest for justice, equity and inclusion; the fundamental principles on which the PDP was originally built but which it had deviated from. We were attracted to the APC by its promise of change. We fought hard along with others and defeated the PDP. “In retrospect, it is now evident that the PDP has learnt more from its defeat than the APC has learnt from its victory. The PDP that we return to is now a party that has learnt its lesson the hard way and has realised that no member of the party should be taken for granted; a party that has realised that inclusion, justice and equity are basic preconditions for peace; a party that has realised that never again can the people of Nigeria be taken for granted,” Saraki said. The Senate President expressed his excitement over the new efforts to build “the reborn PDP” on the core principles of promoting democratic values, internal democracy, accountability, inclusion and national competitiveness, genuine commitment to restructuring and devolution of powers as well as abiding belief in zoning of political and elective offices as an inevitable strategy for managing our rich diversity as a people of one great indivisible nation called Nigeria. Earlier in Ilorin on Tuesday, Saraki had met his supporters where he told them that he dumped the APC because of their insistence that he should do so and the guidance he received from God. He further alleged that Kwara State was marginalised in terms of appointments by the APC. Saraki spoke to journalists in Ilorin after a meeting attended by the state governor, all the members of the National Assembly from the state, 23 members of the state house of assembly and local government chairmen and members of the state executive council. Saraki said, “We discussed this issue last week when I came home. You told me that you were tired of the APC, but I asked you to exercise patience. I told you that I will seek God’s guidance and feed you back on my return to Ilorin. “The Federal Government appointed over 200 persons into juicy offices without allotting any slot to me or (Speaker, House of Representatives, Yakubu) Dogara. Everything went to Katsina, Katsina, Lagos, Lagos. If not for the love I have for Nigeria, we would have scattered everything. They don’t want us in their party. They don’t like us in Kwara. “What I am after is for my people to enjoy dividend of democracy. I want us to be in the party that will love my people. Wherever we are, we will win elections. The governor told me he’s tired of the APC.